WORLD GUITAR DAY 2017: The title says it all! 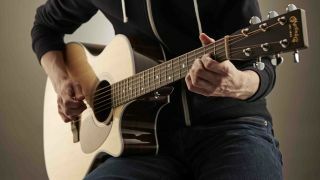 These are the 10 must-learn chords that every guitarist uses all the time. If you don’t know these chords, learn them right now. The dots tell you where to put your fingers, and the numbers tell you which of your four fingers to use. Black dots are root notes, while the 'x' and 'o' marks at the top of the diagrams indicate muted (not played) and open strings respectively. Start with C before moving on to the rest of the shapes. Once you've mastered this lot, dive in to your first guitar lesson.